Skambankt - Velkommen til konsert! It's out! 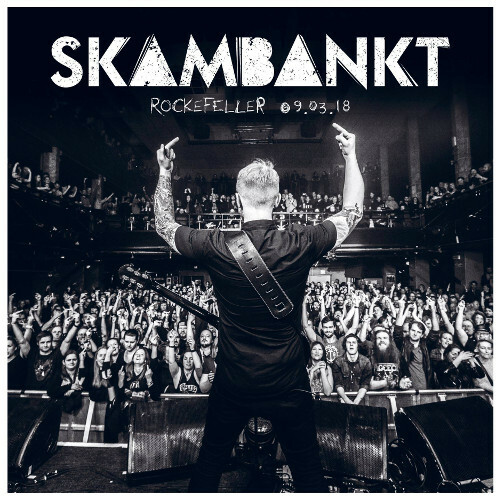 "Skambankt - Rockefeller 09.03.2018" was released last week, and while there doesn't seem to be much press around it, social media has a lot of praise. And rightfully so! So sit back and enjoy a (short) concert in your living room - to prepare for the tour in fall, of course! Skambankt have now confirmed most of the tour dates, and in addition, they have already been announced for next year's Raumarock festival. Yay! And for something completely different, Skambankt will participate at Kapittel in Stavanger and talk to Leif Tore Lindø about solidarity and concord in a band. This will happen on September 19, see more information here. Only 10 days until Skambankt's first ever live album is released - have you preordered already? If not, it's about time! And it looks like we'll get another tour in October, so we can get the live experience not only on the stereo, but also in person! The first dates are getting out now, but there will surely be a few more - check out the ones that are already announced here. And get your tickets! The show in Porsgrunn is actually sold out already! The release date is August 24, but you can already preorder CD and LP from Indie Recordings (keep in mind though that they ship from Spain and you might have to pay toll - so you might want to wait for the album to be available from Platekompaniet), and of course the album will be available digitally as well. The first single "O dessverre" is already out - listen to it here! 24/06/2018: ... and at the end, the Germans win! The festival tour continues with more shows all over Norway, from Kristiansand in the south to Vadsø in the north - check out all dates here! Festival season has started! Skambankt already played in Bryne and Florø - and yesterday they were in Trondheim. Check out my report and a few pictures!